This adorable, new bedtime story stands out for its spot-on description of the excitement, surprise, and joy that totz experience as they explore a world full of small discoveries and big wonders each day. The text is lyrical and rhyming, and follows a curious lion cub on adventures, from the time he wakes, till bedtime. Mom is always nearby. 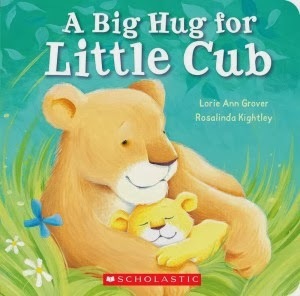 Something that A Big Hug For Little Cub does so well in both story and illustrations is to show that as this small, curious lion cub wanders, plays, and learns each day, his loving parents will always be there to guide him and keep him safe. A reassuring message for totz. 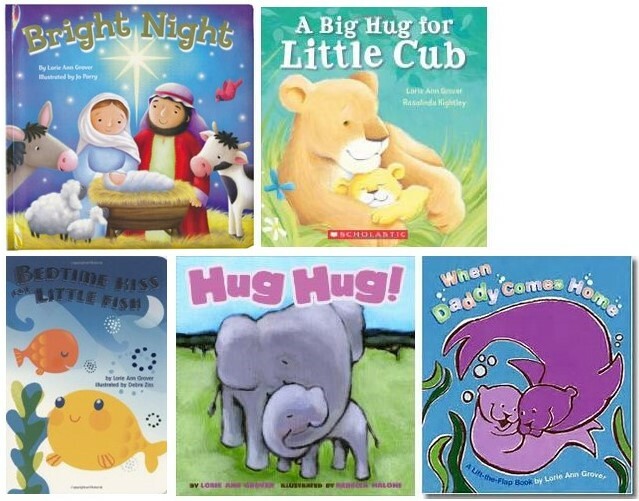 The cuddly illustrations, warm parent-and-child theme, and appealing text make A Big Hug For Little Cub a wonderful choice for Valentine's Day, Easter, totz birthdays, and bedtime. This soft padded board book is slightly larger than the typical board book at 7.5x7.5 inches. 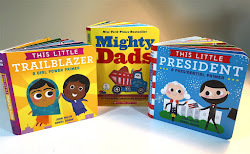 Lorie Ann Grover is the co-founder readergirlz, a social media site awarded the National Book Foundation's Innovations in Reading Prize, as well as readertotz, which aims to raise the profile of board books. She is alaso the author of board books (Bedtime Kiss For Little Fish) and young adult novels. Her most recent novel, Firstborn, publishes January 2014 and has received a starred review in Kirkus Reviews.